Cartoon Moblur by Plugin Everything is a new tool for Adobe After Effects that allows you to create 2D style motion blur trails very quickly, without needing to tinker so much with quality controls or particle systems. Before I start this review, I do want to point out that Plugin Everything did sponsor this review, but the opinions and criticism are of my own and the review will be objective as always. We’ll also be giving away 25 copies of Cartoon Moblur on various social media platforms, more info below. 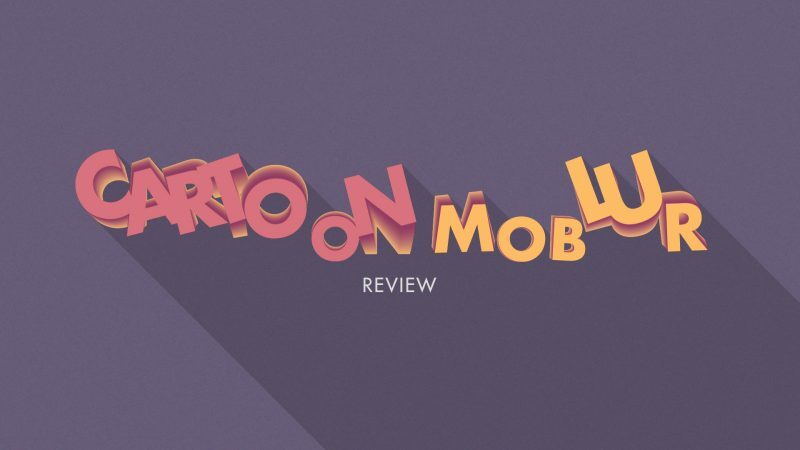 The Dojo is partnering up with Plugin Everything to giveaway 25 copies of Cartoon Moblur! 5 on Facebook: “Like” the Dojo and PluginEverything pages and share our review (don’t forget to mention us). The devs and community are constantly mentioning this, Cartoon Moblur is a replacement for the “Echo” effect in most cases. I agree with this statement: it’s faster, easier to use, and has more control over the results. The “Echo” effect is notorious for being slow and tricky to use. With Cartoon Moblur, you have the ability to control the trail colors (fill or gradient), and the controls are more intuitive to tweak and adjust than the “Echo” effect. Let’s be honest, any plugin that aims to generate “motion blur” isn’t going to be blazing fast. This applies to forced motion blur-type plugins also: ReelSmart Motion Blur, Pixel Motion Blur, etc. The plugin is fast for what it does, and it’s noticeably faster than the “Echo” effect. I’m not a huge technical guy when it comes to gauging speed inside AE, but I’d say it’s about 1.5-1.8x faster than the “Echo” effect based on various experiences. The speed boost is very noticeable when you’re applying multiple instances of it. Cartoon Moblur was designed to work like native motion blur where layer transformations need to change to achieve blurs. This works fine for most people, but for some reason I always find myself using it like a forced motion-blur-type plugin (similar to ReelSmart). The plugin isn’t going to work well with animations that don’t involve transformation data (aka animations done using different effects or per-character 3D). Having to use the “Motion Source” option to define an alternative transformation source can get annoying at times, but v2 will be bringing some workflow changes that will improve this. The “Motion Source” option could be used for more unique scenarios where you want to drive the motion blur via a completely separate layer, which could yield some interesting results. Overall, the plugin is extremely good at what it does: simple motion blur style trails. It’s one of those plugins you can slap on, make minor tweaks, and it works great out of the box. If you find yourself doing that kind of design work, or you use the “Echo” effect even remotely often, this plugin would be perfect in your arsenal. The devs are actively working on improving and updating the plugin, so any workflow kinks will be tweaked, and new features will be added accordingly. For the price tag of ~$30 USD, this plugin is definitely a reasonable tool in you motion arsenal. Super Cool, Thanks A lot! I’ve contacted you through the site form.